KIDS AND ADULT FAMILY GAMES! Everyone will surely put away their phones and iPads to enjoy some old fasioned outdoor games. Make memories to last a lifetime at your party and encourage cooperation, coordination and teamwork with Tug-of-War, Potato Sack Races, Egg and Spoon, and 3-Legged Relay. Fun for BBQs, backyard lawn games, school and church functions, field days and more! Strong, durable yet soft on the hands. This party game kit will be a sure hit at your next event! Inquire about our party game packages! One, Two, Three Strikes - You're OUT! Out there having the time of your life that is! 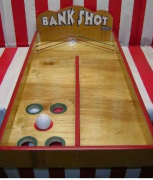 This all time classic carnival game is sure to please. Reserve yours today! medium prize. Ball in Green wins small prize. Children and adults alike will have a blast trying to get all 3 flukey balls down big mouth's throat. The first one to land all 3 tosses WINS! Spin art is a hit at children's birthday parties, school carnivals, virtually any place! Create oodles of fun at your next children's event with a few bottles of paint, cards and the Fun Spinner. *Ask us about our pre-set 100 person party kits. (available with or without stand) Supplies included: Popcorn, butter flavoring, salt, individual bags. Supplies included: Your choice of either "Boo-Blue" (raspberry) or "Silly Nilly" (pink vanilla) floss sugar, floss cones, and floss bags. 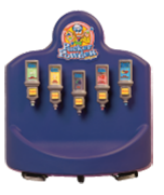 Supplies included: Your choice of Blue Raspberry, Orange, Grape, or Fruit Punch syrup, snow cone cups. 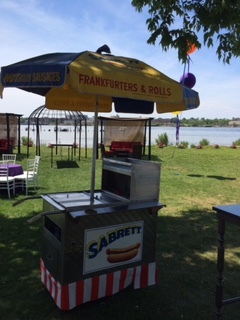 Supplies included: 100 Hot dogs, 100 rolls, ketchup, mustard, Sabrett onions and Sabrett Sauerkraut. 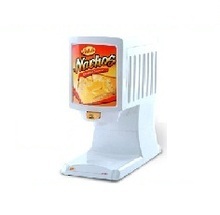 Nacho Machine w/supplies - $95.00 - NEW!! Supplies included: Cheese, Nachos, serving trays. Supplies included: 100 Pretzels, salt and mustard. Indoor/Outdoor, on tile, rugs, wood floors, cement, decks, pavers, asplalt, etc. *Price includes delivery and set-up in Staten Island only!